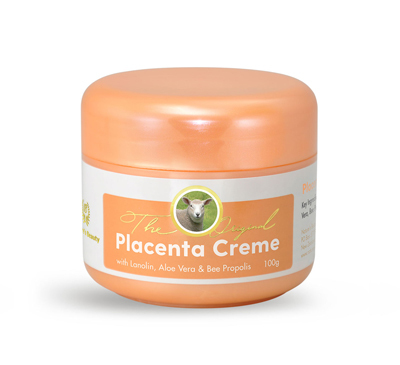 A much-loved Placenta BiSerum that now boasts a new and improved natural and protein rich formula, this natural anti-ageing treatment combines the bioactive nutrients of plant and sheep placenta proteins to deeply penetrate the skin’s layers and nourish the skin. Known to naturally stimulate the skin cells, this natural placenta combination encourages healthy cell growth and skin regeneration, all while providing long lasting hydration and enhancing collagen production to reduce the visibility of fine lines and wrinkles. These regenerating qualities are boosted by the addition of Marine Collagen, an ingredient well-known for its antioxidant and firming properties to aid in maintaining the skin’s firmness and elasticity. The result is an intensive formulation perfect for revitalising mature skin and reducing the visibility of wrinkles and the appearance of fine lines, helping the skin stay smoother and more supple for a long-lasting youthful appearance. 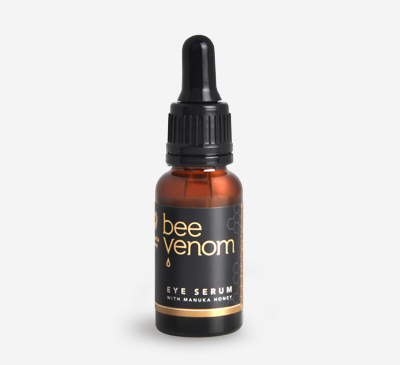 Use fingertips to dab small amounts of BiSerum to cleansed face, then massage into the skin. Leave to dry completely before applying moisturiser, gently tap the skin while drying to help serum absorb deeper. Plant Placenta is a natural substance found in the pistil of flowers, and has the unique ability to penetrate deeply into the skin layers to aid in the cellular regeneration of skin cells, enhance collagen synthesis, reduce existing wrinkles, scar and stretch marks, and provide long lasting hydration to the skin. Marine Collagen is a fibrous protein long renouned for its powerful antioxidant and anti-ageing benefits, and has been found to encourage the production of elastin to reduce age lines and keep the skin former and smoother. Aqua (Water), Glycerine, Aqua & Propylene Glycol & Hydrolysed Soy & Aloe Barbadensis Extracts, Hydrolysed Collagen, Placental Extract, Phenoxyethanol, Ethylhexyglycerin, Hydroxyethylcellulose, Geranium Essential Oil.